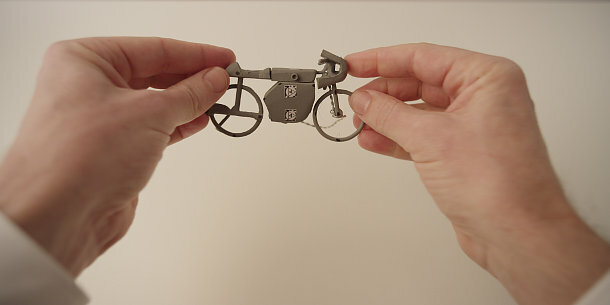 Honda’s classic ‘Cog’ ad deconstructed a car into a Heath Robinson contraption. ‘Hands’, its latest series of idents, shows a similar fascination for miraculous machines – although on a much smaller scale. 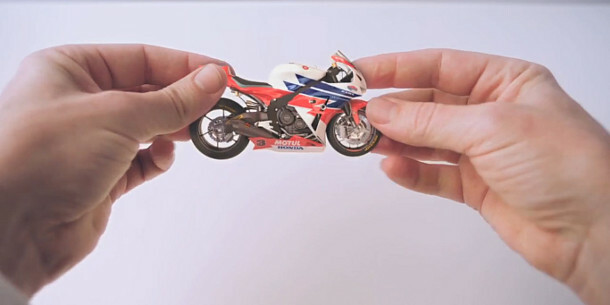 Aired on UK’s Channel 4, the spots all take place in between one man’s hands as, through a kind of digital origami, he twists a nut into a toy motorbike, a scooter into a quad bike and a boat into a car. The idents were created by Smith & Foulkes and Nexus Productions – both veteran Honda collaborators – with visual effects supplied by new UK studio Analog. The work blends shots of practical models of the vehicles with digital effects. Analog helped shoot articulated props and track the actor’s hands, then supplemented the tracked footage with photorealistic digital versions. Analog’s digital work on one of the ‘Hands’ idents: from tracked physical prop (top) to final shot (below). The digital effects, which were completed in just eight weeks, were mainly completed in Softimage and 3ds Max, rendered in V-Ray, and composited in NukeX.